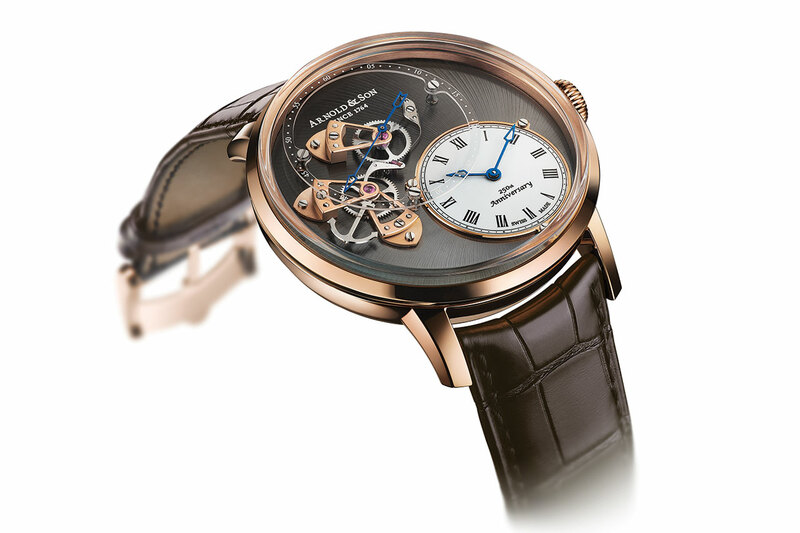 Arnold & Son celebrates its 250 years of history by offering an exceptional model honouring both its British origins and the traditions upheld by the field of Swiss Haute Horlogerie, of which it is one of the finest ambassadors. 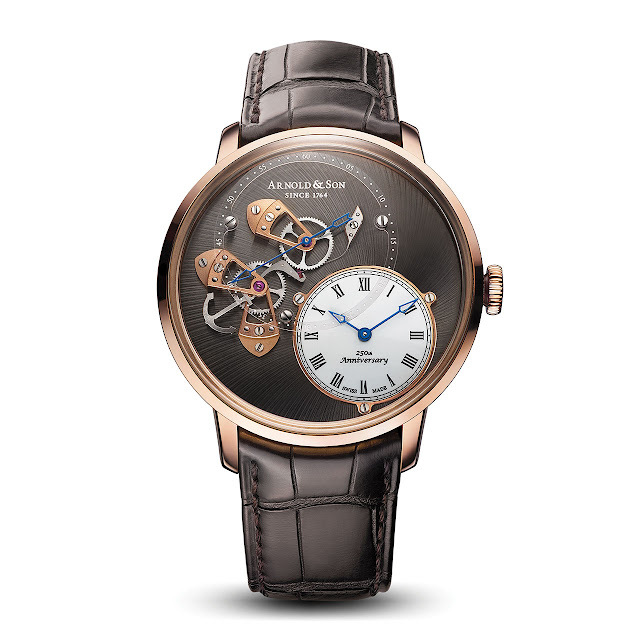 In tribute to its founding father John Arnold, who together with his son produced the first marine chronometers to be offered in substantial quantities and at reasonable prices, the Instrument Collection DSTB beats to the tune of a new manufacture movement featuring one of the complications most closely associated with the House: deadbeat seconds. In keeping with the original spirit of innovation, the calibre enables this fascinating mechanism to be admired on the dial side through a construction that is unique in the world. Not only does the deadbeat seconds hand perform one-second jumps for all to see, but the three gilt bridges, wheels and yoke are also clearly visible. In a nod to marine chronographers, the latter is shaped like an anchor. Adding the ultimate touch of refinement to this exceptional creation, an extremely elegant lacquered white subdial displays the hours and minutes at 4 o’clock and uses clever layering to create striking 3D effects. 50-piece limited edition.